Recently, the Bollywood film industry banned all the Pakistani artists in the wake of Pulwama attack that killed around 40 soldiers of CRPF. Even India took the revenge of it through air strike but one of our soldiers got captured by the Pakistani army. Wing Commander Abhinandan came back to India after Pakistan army returned him back. The whole Bollywood came together and supported the wing commander and also condol the death of 40 CRPF soldiers. Now recently when actor Ranveer Singh reached to India Today Conclave 2019, he was asked to express his views on banning Pakistani artists. Ranveer Singh clearly said that he is someone who believes that art and sports are different realms but if any soldier's mother asked us to do we should follow it. “I am very cognisant that there is this school of thought that one should not mix art and sport with it, they are two different realms. But at the same time, us as artists and sportsmen, we are not sacrificing the same way that some of our compatriots are. Art and sports are different realms. The boundaries should be different. But we are not sacrificing the way some of our compatriots are. If there’s even one mother of a soldier who believes that we shouldn’t engage, we should follow that.” Ranveer Singh said. On the professional front, Ranveer Singh is currently shooting for his next film 83, based on the 1983 world cup winning Indian team led by Kapil Dev. 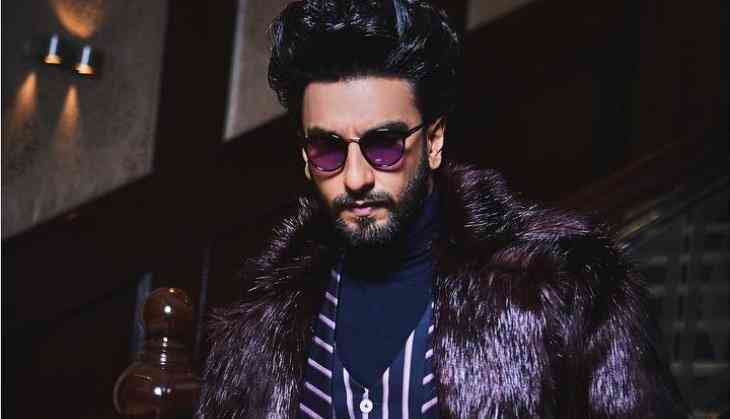 Ranveer Singh will be seen playing the role of Kapil Dev, while other actors like Saqib Saleem, Sunny Kaushal, Chirag Patel, and Pankaj Tripathi have approached to play leading roles.